Ask most any transplant to Fairhope, Alabama what they wished most about their move to the area and their answer may likely be, "I wish I had raised my children here." Fairhope is that kind of place. It isn't a big city in size, but it's big when it comes to arts, activities and education, making it an ideal place to raise a family. When it comes to keeping the younger set busy, there's no shortage of great Fairhope activities to keep them active and entertained. The Fairhope Yacht Club welcomes young sailors and invites them to learn the art of sailing along the eastern shore of Mobile Bay. 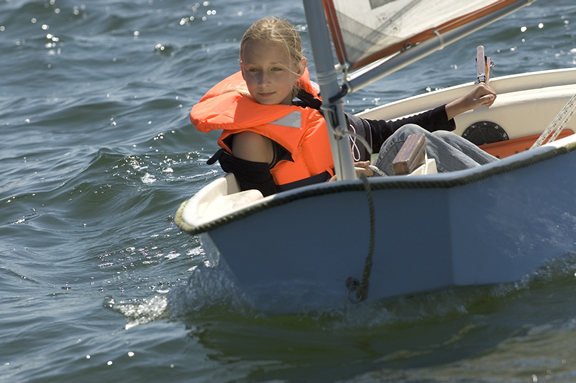 Summer sailing camps keep the kids entertained and Fairhope High School offers a sailing team that competes in numerous regattas each spring and fall. All it takes is a stroll through the town to see the vibrant art community woven into the city. But, it's also alive and well in the city's children. The Eastern Shore Art Center offers classes for children, including pottery and classical drawing. 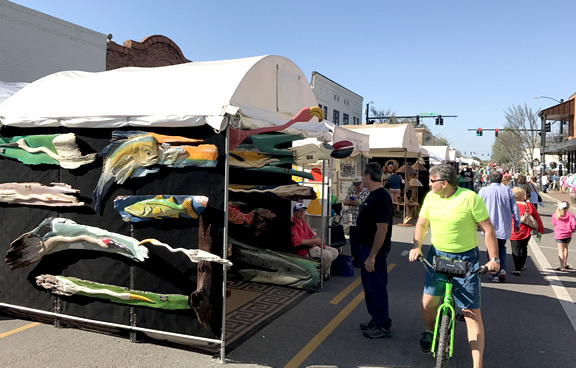 Also, the city hosts several art festivals, namely the Fairhope Arts and Crafts Festival, featuring more than 230 artist exhibitors, and attracting 250,000 people each year! 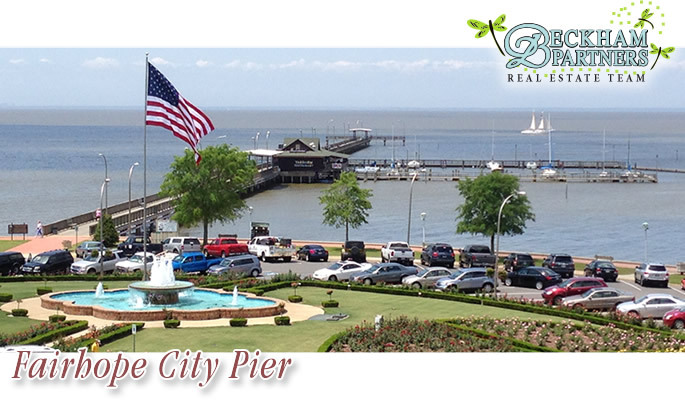 The young and young at heart will enjoy casting a line off the Fairhope pier. There's no greater joy than seeing a young angler reel in their first catch. The pier offers restrooms and an onsite restaurant. Nearby you'll find picnic tables, a pavilion and duck pond, as well as a large sandy beach. Fairhope youth sports are thriving! The city offers youth football, soccer, softball and baseball. The Fairhope youth baseball teams have even made appearances in the Little League World Series. Your junior golfers can learn to perfect their game with junior golf camps at Rock Creek Golf Club and Quail Creek Golf Course. 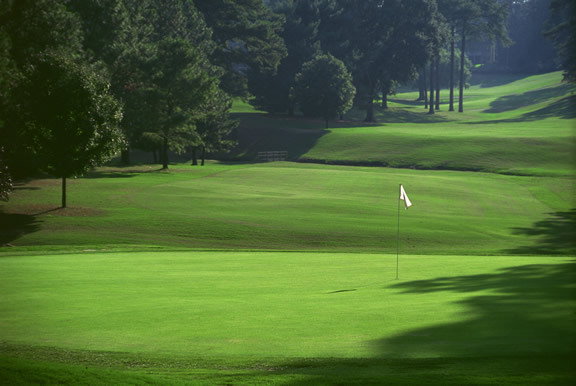 Fairhope High School also offers a competitive golf team. Nothing says relaxed living like a horseback ride through wooded trails. Nearby Oak Hollow Farms offers trail riding and even a summer camp for kids who love the great outdoors. Besides outdoor activities and the arts, Fairhope offers exceptional schools. Fairhope High School is one of only two International Baccalaureate schools in Baldwin County. The IB diploma is considered the "Cadillac" of education. 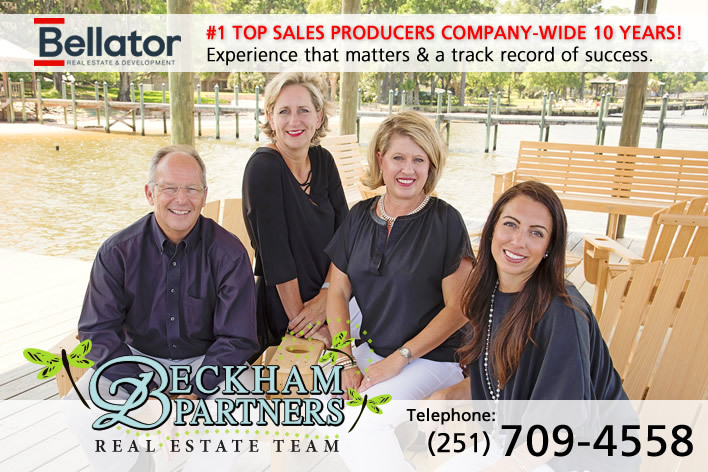 Beckham Partners Real Estate Team - Comfort, Experience, Convenience and Expertise. #1 Residential Sales Producers Company-Wide, for 10 Years - Ballator Real Estate and Development.